This summer we are offering a different way for people to experience the Brigid’s Way Celtic walking pilgrimage in Ireland. 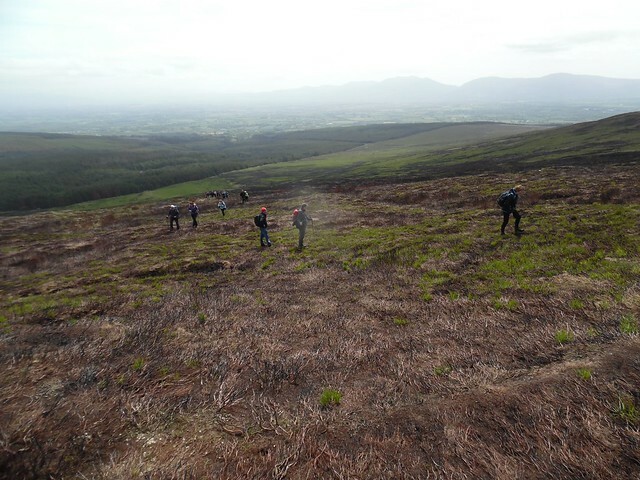 For the past three years, the Brigid’s Way pilgrimage has been walked over 9 consecutive days starting from Faughart. Co. Louth and continuing through Ardee, Slane, Tara, Kilcock, Robertstown, Milltown and Pollardstown Fen into Kildare town. In July 2016, Brigid’s Way will offer an opportunity for people to experience a shorter version of this pilgrimage. We are hosting two weekend opportunities, which will allow pilgrims to have a deep and rich experience of the two places most often associated with Brigid, her birth place Faughart, Co. Louth and Kildare town, the home of her monastery. It is also possible to join either of these pilgrimages for 1 day. We invite you to join us at Faughart, Co. Louth on Saturday and Sunday July 2nd and 3rd. On day 1 of this weekend pilgrimage we begin at Brigid’s Well on Faughart Hill where we hold a blessing and prayer ceremony at Brigid’s well invoking her presence during our pilgrimage. We will then walk to Brigid’s Healing Shrine, spending time at the stream, the wonderful beech trees and the healing stones, allowing time to experience the beautiful peaceful energy of Faughart in it's "Summer Glory". After a picnic lunch at Faughart we will walk to Dundalk via Kilcurry, Toberona, up to Mount Avenue and into the beautiful lands of Lisnawilly (part of the ancient pathway) and into Dundalk town. On Day 2 we will walk from Dundalk to Ardee visiting the famous Cuchulainn stone and enact a dialogue that might have taken place between Brigid and Cuchulainn if they ever met! We visit the Brigid stain glass window in Knockbridge village before having lunch on the village green. We walk on to the beautiful village of Tallonstown and then into Ardee where our pilgrimage finishes. Dinner is available each evening and must be pre-booked. Saturday 23rd and Sunday 24th July Weekend Pilgrimage from Robertstown, Co Kildare to Kildare town. We invite you to join Karen and Lynda on Friday evening at Robertstown Cottages after 5.30pm for a Circle Gathering Meditation to meet Brigid, Goddess and Saint after a vegetarian dinner. On Saturday 23rd we will walk along the beautiful Canal banks past the Hill of Allen stopping for a picnic lunch (bring own) to arrive in Milltown and have a well deserved drink followed by dinner in the local restaurant (buy own). Following a lift back to Robertstown Cottages we will gather in Circle to celebrate the Full Moon and share our experiences of the day. On Sunday 24th we will drive / get a lift to the magical Pollardstown Fen to start our Pilgrimage walk across the Curragh to Brigid's Fire Temple, onto her Healing and Garden Wells and finishing with a very welcome cup of tea at the Solas Bhride Centre. Full details will be emailed to participants on receipt of their bookings and payments. Paypal option available. Trek 34km from Dromahair, Co. Leitrim to Coolaney, Co. Sligo and discover the Sligo Camino. The Camino will follow the Sligo Way through some of the finest scenery in the West of Ireland. The route is a challenging mixture of tracks, trails, forest paths, finishing with 8km of country lanes around the Annaghmore Estate. ​The RISE Foundation will be holding our 3rd Rise Rathlin Ramble on the 7th May 2016 on the beautiful Rathlin Island, Co. Antrim.